Woodstock is the tenth fastest-growing suburb in the United States and one of the best places to live in Georgia. 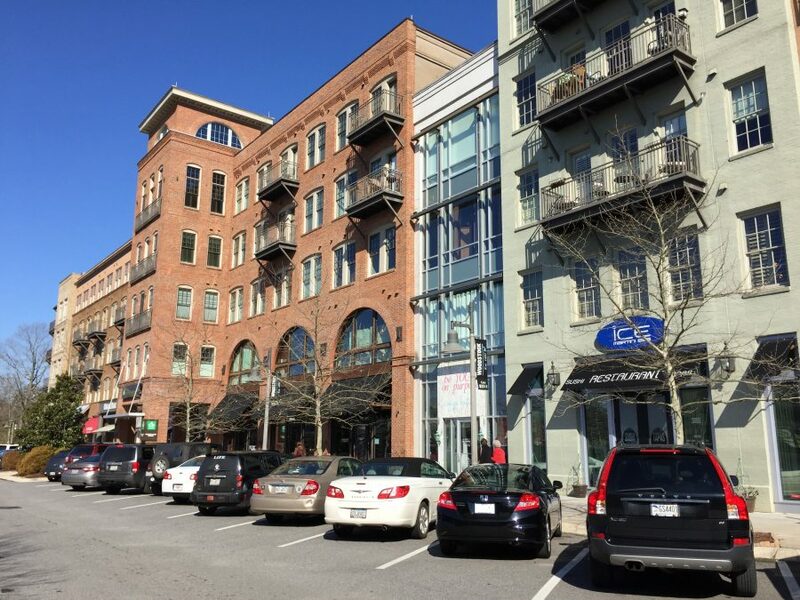 Just 30 miles north of Downtown Atlanta, this quaint city has the charm of a small southern town, yet it features many of the modern amenities you would expect to find in a much larger city. The city’s Main Street is both historic and new, with the west of the street being the historic side and the east side of the street being the new side, although the buildings on the east side have been constructed to resemble those on the historic side. An interesting city full of surprises, Woodstock is a favorite among people of all ages and races. Woodstock is a city where 64 percent of the people own their homes. Just 36 percent of residents are renters. The median home value in Woodstock is $205,800, compared to the national average of $184,700. Rent is also higher here with a median rent of $1,269, compared to an average of $949 nationally. The most popular home styles here are the ranch and craftsman styles. Woodstock’s residents tend to drive wherever they want to go because the city isn’t well-serviced by public transportation. The average one-way commute to work is 34 minutes, which is longer than usual when compared with the national average of 26 minutes. Not many people carpool in this city, either, with just 7.9 percent of workers carpooling with other drivers. This is also lower than the national average of 9.3 percent. Woodstock has two major highways passing through it, Interstate 575 and State Route 92. If you like to get around on foot or by bike, there are several trails in the area, including the Noonday Creek Trail, the Serenade Trail, and Trestle Rock Trail. Woodstock is ethnically and economically diverse. Its population is made up of whites (72 percent), African-Americans (12 percent), Hispanics (eight percent), Asians (five percent), and people of two or more races (three percent). It’s a well-schooled community with 42 percent of adults having earned at bachelor’s degree or higher. Females outnumber men by 53 percent to 47 percent, and adults aged 35-to-44 and children under ten account for the two largest age groups, each at 17 percent. This is a senior-friendly community with people 65 or over making up 12 percent of the population. Woodstock’s median household income is $69,247 compared to the national average of $55,322. The median individual income is also higher in Woodstock, $39,837 to $27,419 nationally, although 26 percent of individuals earn $65k or more. Unemployment in Woodstock is 3.7 percent, which is just under the national average of 3.8 percent. Woodstock offers its residents plenty of places to grab a meal out of the home, with most restaurants in the affordable to moderate price range. Some of the more upscale options in Woodstock include the elegant Tea Leaves and Thyme, the Tuscany Italian Restaurant, and Reel Seafood. Woodstock also sports plenty of casual restaurants/bars where you can enjoy dinner and drinks, like Semper Fi Bar and Grille, Century House Tavern, and the Salt Factory Pub. If your budget is tight, don’t worry; there are plenty of places in Woodstock where you can get good food for less. The Burger Inn is a hole-in-the-wall place where you can get some of the best burgers in town. Taste of Italy serves excellent pizza and other Italian specialties, and at the Garlik Grill, you’ll enjoy Mediterranean and Greek food on the cheap. Woodstock also has a good nightlife, so if you like to unwind after hours or go out with your friends on the weekend, you’ll find plenty of options to choose from. Reformation Brewery is one of the area’s top beer gardens and Ice Martini Bar is where you’ll find an excellent martini menu, sushi, and tapas. Truck & Tap Woodstock has 20 different beers on tap and Jordan’s Lounge is one of the most popular hookah lounges/dance clubs in nearby Marietta. The arts are a part of life in Woodstock and you can see it through the many works of public art displayed throughout the city. The city even has its own Association for Public Art. The Elm Street Cultural Arts Village is where locals can enjoy quality live theatre and performing arts presentations and the Northside Hospital-Cherokee Amphitheater puts on a free summer concert series every year. There’s also MadLife Stage & Studios, where employees and performing musicians create amazing live music and entertainment experiences with and for guests. If you want a glimpse of Woodstock’s historic side, take a free Woodstock Trolley ride and see the sites around the city, or if you want something a little more exciting, visit the historic Dixie Speedway, the 3/8-mile dirt track used for hosting stock car racing and other special events. The William G. Long Senior Center is where local seniors can find a host of programs, classes, and services designed to make their lives more enjoyable and active. Throughout the year, the center hosts daily activities like dancing, wood carving, painting, arts and crafts, and more, as well as trips to local museums, restaurants, shopping, theaters, festivals, and other sites and attractions. Woodstock residents also have easy access to excellent healthcare and medical services. The area is served by Northside Hospital and WellStar North Fulton Hospital is also nearby. Woodstock is a suburb with a lot of growth and progress going on. With so much to see, do, and experience, it’s no wonder why so many different walks of life are finding it so irresistible. Incredibly, housing is still affordable here, making now the best time to start looking for a home in Woodstock if you’re planning on moving to the Atlanta Metro Area. Are you considering a move to the Atlanta area? Or, do you want to stay up-to-date on housing market trends in the ATL? Sign up for our home trend updates!